The distinguished author and activist Dr Ranginui Walker (Whakatōhea) is of Māori and Lebanese descent, and his family have further intermarried. 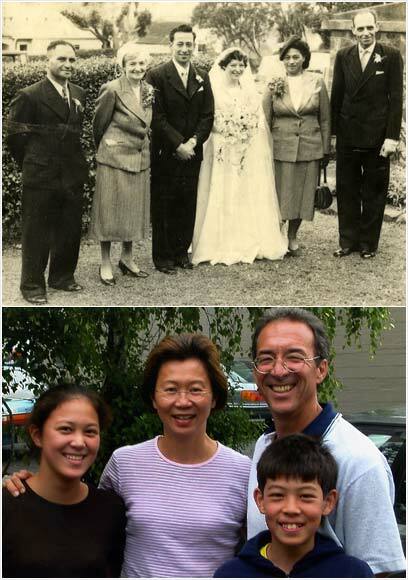 The upper photo shows his wedding in 1953 to Deidre, who is of European descent. On the left are Deidre's parents, Isaac and Molly, and on the right Ranginui's parents, Wairata and Francis. The lower photo shows one of the couple's children, Dr Michael Walker, with his Thai wife, Ratana, and their children Leilani and Punahamoa.